Tropical Paletas & Tulum — potato chips are not dinner. I've never gone so fast from idea seed planted in my head to hotel confirmation as fast as I did with Tulum. It seemed everyone and their mother was going, thanks to California's close proximity to Mexico so it only took me about 5 minutes to make the decision to book my very first solo trip. I'm used to doing a lot of things on my own when it comes to work trips, but for some reason this seemed different. Wondering if the bus everyone recommended was legit, would I make it to the right city, would I get mugged, ripped off, and what self defense moves should I use if things get sketchy? All of that was part of a healthy growth experience. 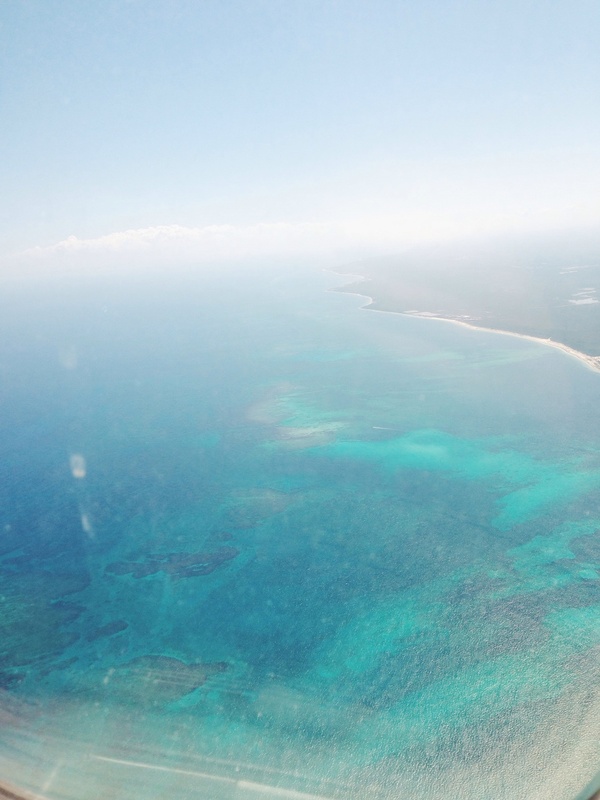 And before I knew it, after a quick stop at Playa del Carmen, I arrived in Tulum without any incident. I booked Azulik in particular because it is an Eco Resort, and I was looking to unplug from life for a bit. Besides the electricity in the lobby, there is no electricity in the rooms and you spend your nights lighting your way with candles. Perfect. I wasn't looking to spend all of my time in Paradise glued to my laptop or wasting precious sightseeing time straightening my hair for 45 minutes. It's not for everyone, as evidenced by my eavesdropping on a conversation between the very patient hotel staff and a pair of indignant French girls that needed a place to keep their butter cold (????) and required the use of a generator for their handheld blender for their morning smoothies. I openly cackled at their tantrum. They were not amused. How could one be mad at a hanging bed, a hot tub, and a swing overlooking the turquoise ocean? Special butter and smoothies be damned. Every aspect of the resort was stylish and inspiring. I felt as if I was staying in mermaid Barbie's dream hut. Despite not wanting to leave my stunning room.......ever, my stomach had other ideas. Soon I was meandering down a dirt road alongside the ocean, where there were many shops and restaurants lined up. With the sun beating down on my skin and the humidity telling my hair : "bigger! more frizz! more fluff! more tangles! mooooooooreeeeee!" I made a mental note to go back to a Paleteria I passed on the way back for dessert. Paletas are not your ordinary grocery store frozen section Popsicles. They come in hundreds of varieties and are often full of fresh fruit slices with either a juice or cream base. This recipe is so easy, it's practically a non-recipe. A perfect healthy treat for BBQ's or any time. The best part is I only used two ingredients: fruit and yogurt. I decided to go tropical with it and puréed some fresh pineapple, and used some passion fruit and mango Noosa Yoghurt. But, you can use any fruit and yogurt combination you like. 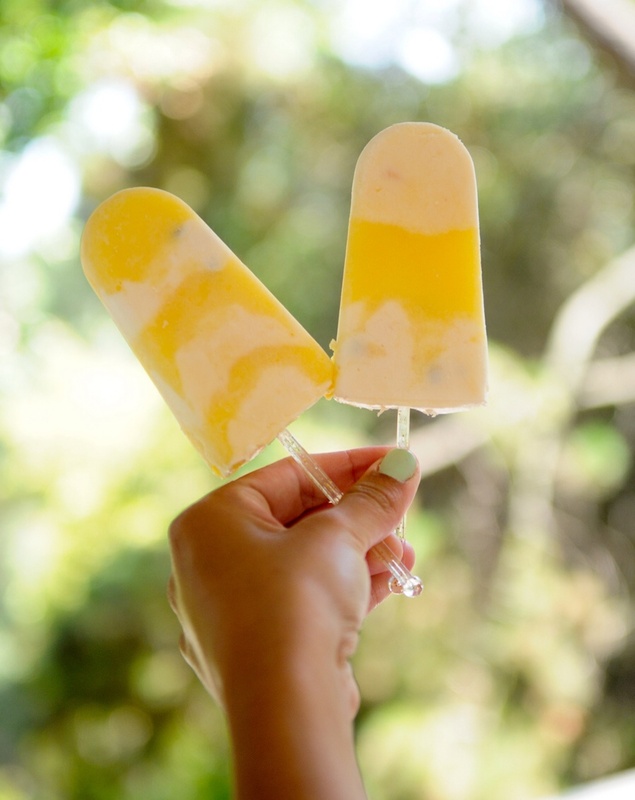 The important part is to use a creamy Greek or Australian style yogurt so your paletas have a nice smooth texture and don't come out too icy. Alternate spoonfuls of puréed fruit and yogurt in your popsicle molds (or ice cube trays or Dixie cups if you don't have any), and stick some popsicle sticks in there. Freeze for at least 4-5 hours before enjoying.